The two MD's Jaye and Grant at Northern Squared commissioned LMPP to create new branding and logo design to reflect the company’s vision and positioning as premium developers and asset managers. As a market-leading, tenant-focused real estate company, Northern Squared operates a portfolio of prime properties and urban business locations. Inspired by the two lads Northern roots, we turned our 'two square' brand idea into a visual identity. The simple logo and wordmark come together to create the subtle outline of a community link. We used a fresh, single-minded approach to colour. And turned our square into a device for holding the logo typography. Within minutes a luxury becomes a lifeline! We all take our mobile phones for granted. Following a cancer diagnosis, it is imperative to stay connected to healthcare professionals, family, friends, loved one’s. LMPP Studio partnered UK charity simPal, working to strategically position them to become a public enabler of cancer support. With a strong brand awareness and user-friendly interface. simPal is the only charity in the world providing this unique service. Support provided by simPal is completely free and non-means tested. Their one aim is to keep those living with cancer connected during their most challenging times. They are currently supporting some of the most vulnerable people in society, from families with young children living with cancer to older people who have never used a mobile device previously. ‘Cancer poverty’ is something affecting more people every week. We were approached by business partners Carl Stedman and Beks Bush to refresh their business, providing strategic and creative thinking to help them to transition from traditional independent traders to a full-service business offering both domestic and commercial tree surgery management, working with the most experienced team of staff. To reflect this position, LMPP Studio has been working with the tree-tek to develop a refreshed visual and verbal approach rolling out across all of the businesses communications. tree-tek provides the best quality tree surgery & tree management in Kent. We are all very passionate about what we do, always friendly and reliable and work towards British Standards of Tree Surgery guidelines, ensuring best safe practice. New Store for Offbeat Donut Co. 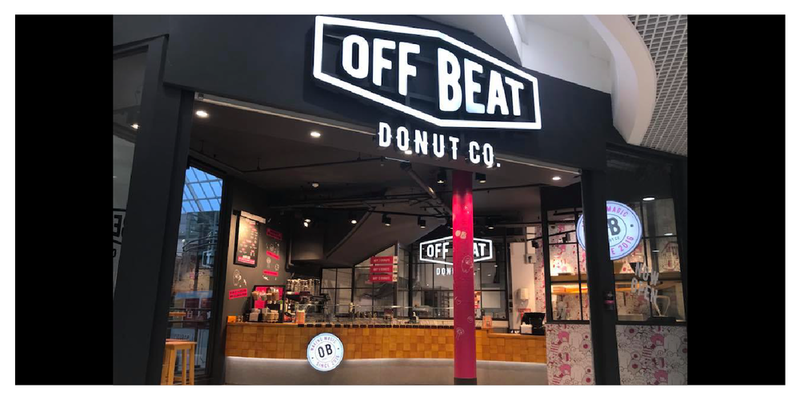 So great to see our client Offbeat Donut Co. open their new store at THE SQUARE TALLAGHT DUBLIN This week. The management team are pretty special and we honour our on-going relationship. They offer their hungry, sweet-toothed customers donuts that are handmade fresh on site throughout the day by talented bakers, unique recipes and the very best ingredients, which we have fine-tuned to deliver that ultimate donut experience.